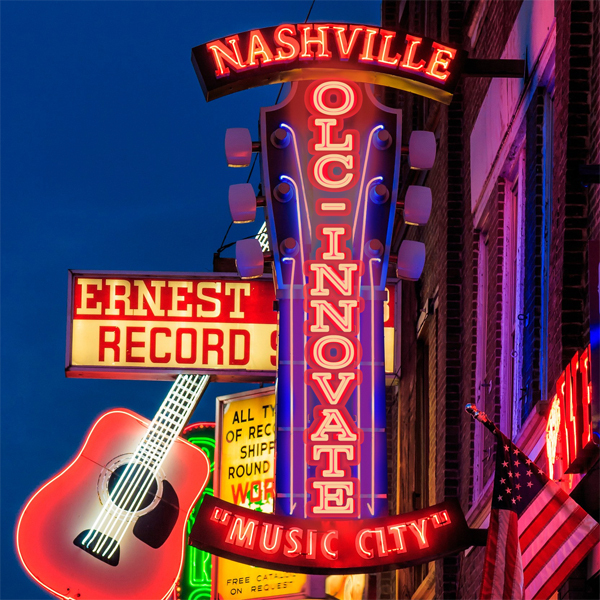 Welcome to OLC Innovate 2018, April 18-20, 2018 in Nashville! Here you’ll find travel tips, local information, and conference updates. Check back often! There are 20 presentations at Innovate 2018 matching the “blended learning” criteria, based on self-selection of this option during the submission process. But what is “Blended Learning”, and how does that apply to our OLC Innovate 2018 conference this year? As early as 2007, Picciano and Dziuban (Eds.) noted that the term blended learning acknowledged the importance space between a fully online course and a course that meets in a traditional, face-to-face modality. Rather, “blended” courses employ a combination of methodologies in which students and/or instructors participate in the learning exercise remote from one another, typically utilizing technologies that allow for synchronous or asynchronous interactions through the term. Picciano and Dziuban further clarify that due to differing terminology used across our various colleges and universities throughout the world, we oftentimes see an interchange of such terms of hybrid, mixed modality, and flexible learning with the term blended learning. The primary distinguishing characteristics of these courses is that some learning occurs in a traditional, face-to-face environment, while some learning occurs remotely. This percentage may differ substantially regarding how much face-to-face and how much online work may occur; likewise, our pedagogical approaches to successfully teaching across our disciplines may also show significant distinctions. (You can read more from this excellent book entitled Blended Learning: Research Perspectives here). Come join us for these and the many other Blended Special Sessions at this year’s OLC Innovate conference! OLC Innovate 2018 Blog – OLC Innovate is Around The Corner. Are You Prepared?